The Walther EDK or "Every Day Knife" has somewhat of an interesting design history. The German Knife Magazine ran a reader competition to design a new Walther jackknife. This design by Simon Telpl won the competition over eleven other proposals in the final round to get the most readers votes. 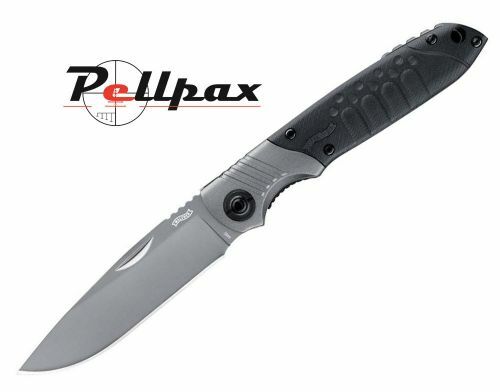 This knife features a drop point blade that measures 7.5cm making it an ideal camping or hiking knife that is easily slid into a pack or bag as the blade can be locked away when not in use.